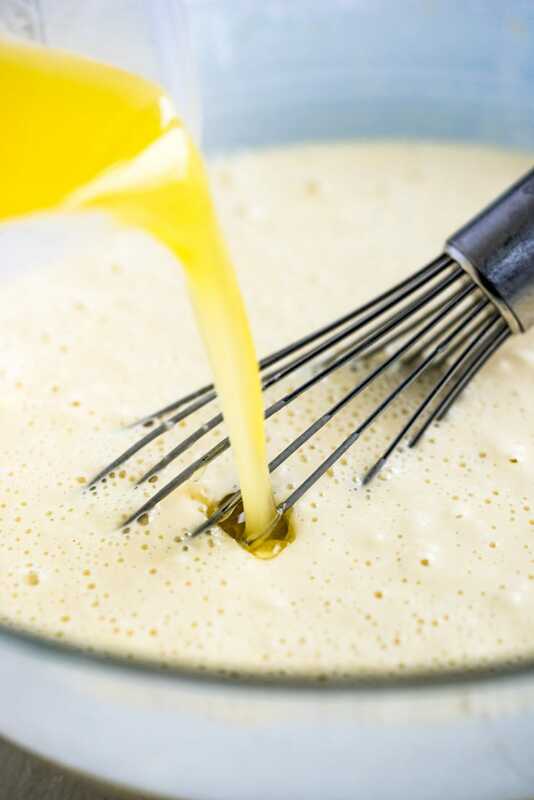 Itching for some fluffy and moist buttermilk pancakes but would just rather grab a box of premade pancake mix because it’s easier? I’m going to show you how to make pancake mix from scratch! 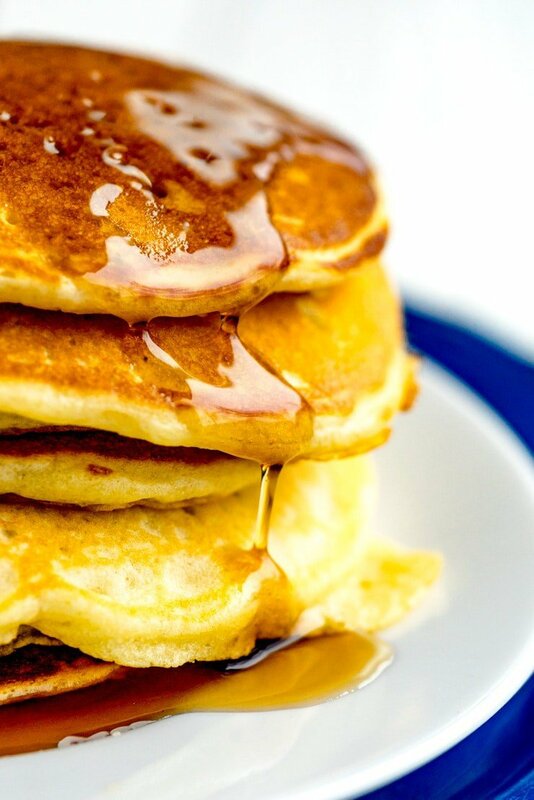 Homemade pancake mix is super easy to make, and you can keep it tucked away in your fridge until you’re ready for some of the most scrumptious homemade buttermilk pancakes you’ll ever eat! I’m bad at making breakfast–mostly because waking up is hard. Like, really hard. So, breakfasts here are usually quick and easy and require minimal clean-up. Heaven knows I’m not going to whip out four bowls (1 for the dry, 1 for the wet, 1 for the egg whites, 1 for… something else) to make a single batch of pancakes. Now, If we’re talking about making breakfast FOR dinner that’s a completely different story because, well, I’m awake and not grouchy and generally motivated. Making pancakes from scratch at 5:30 pm is more my speed. But for breakfast (in the morning) I like it quick, I like it mess-free and I like mixes. Yep, you heard me; I like mixes! Be Sure to Sign Up For My Email! New Recipes Delivered Straight to You! Using a mix means I don’t have to think– or at least not very hard and most of the work is done for me! So, in an effort to help my pancake-loving-soul be happy in the mornings, I turned my favorite buttermilk pancake recipe into a mix. And, it’s ridiculously. Good. I love buttermilk pancakes but I rarely have buttermilk on hand, so I used dry buttermilk powder in the mix instead. 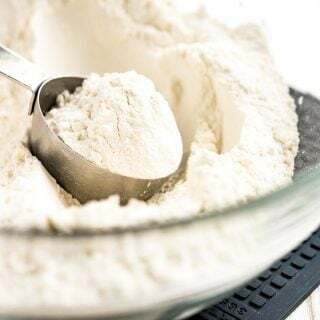 In addition to the buttermilk powder, you’ll add some leaveners, salt, sugar, and all-purpose flour to make your homemade pancake mix. 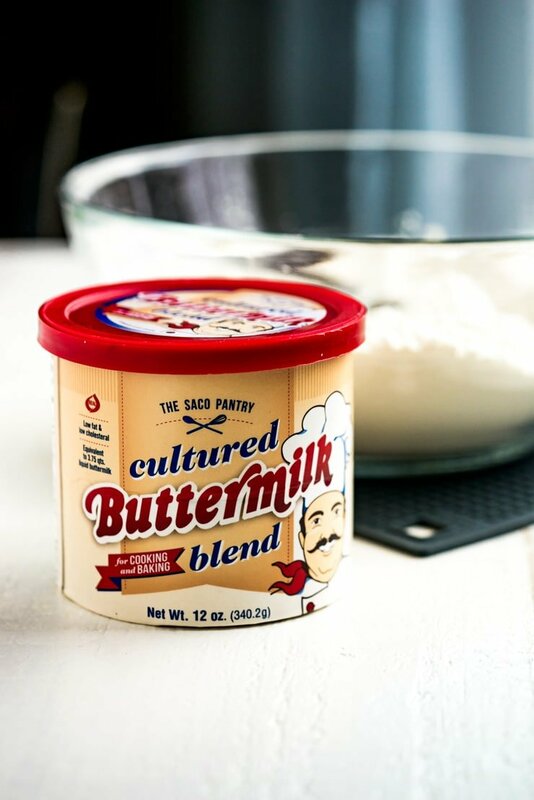 How do I Make Homemade Buttermilk Pancakes from the mix? When you’re ready for some pancakes all you need is your homemade pancake mix, a bit of milk, water, two eggs, and some melted butter. I tried to figure the recipe out without using butter to make it easier and the resulting pancakes were good but weren’t the best. The butter makes all the difference because it’s butter and butter is magic. Can You Store Homemade Pancake Mix? Yes! 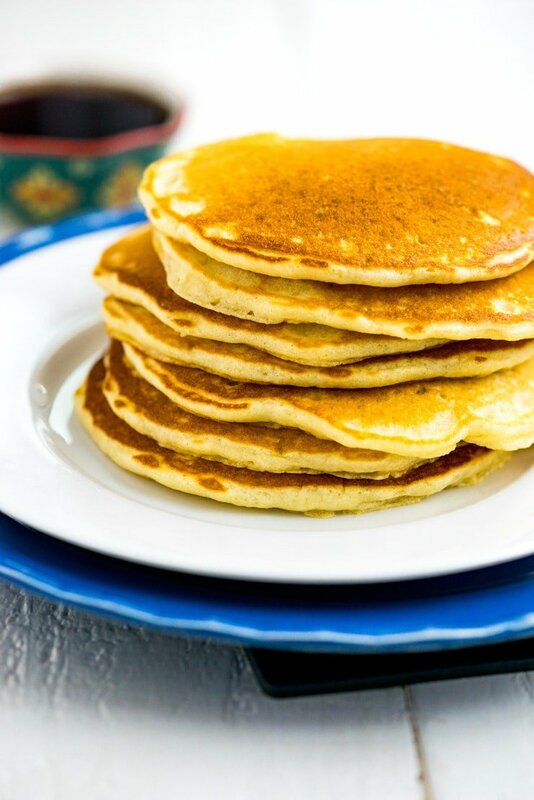 The one drawback to using powdered buttermilk is that the homemade pancake mix needs to be stored in the fridge or freezer. But, the plus side to this is that it will last a LONG time. We’re talking up to a year in the freezer and 6-8 months in the fridge when stored in an airtight container. The finished pancakes are fluffy and light and have all sorts of that rich buttery-ness that I just love. So, go make some homemade pancake mix, put it in the fridge and stop thinking so hard in the morning. You can do this! I’m serious; you want to sign up for my Email! You’ll never miss a dang recipe! Made pancakes with this recipe today. The batter was quite soupy but they still tasted good. Are the liquid measurements correct for milk and water: 1/2 cup milk, 2 cups warm water and 1/2 cup melted butter? Yes, that’s correct. Sorry they turned out soupy! I would play with the amount of water you add. 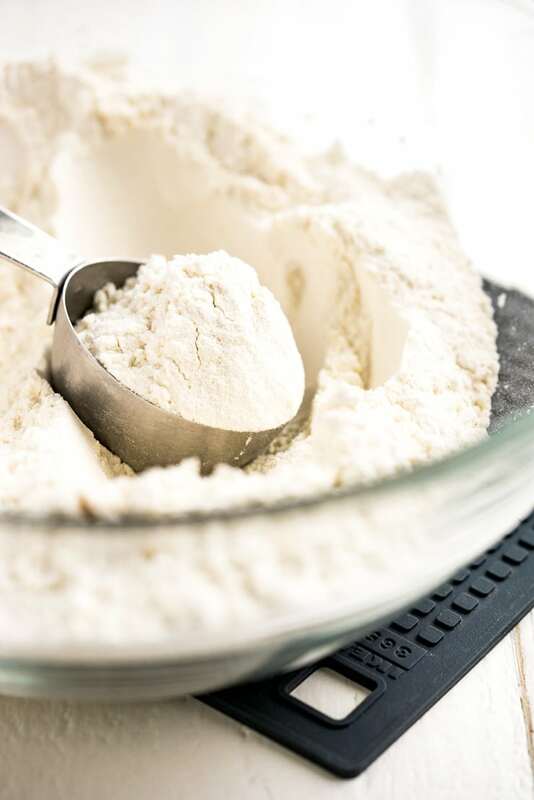 Depending on humidity and how much your flour has taken on, you may need more or less water. Hope that helps! Hello, I was wondering, can you mix ALL the ingredients beforehand? We are going camping and would like to try this recipe. Thanks! The liquids cannot be added until just before cooking as it activates the baking powder and soda. I would take the dry mix and then add everything else just before.